Bennetts Removals have had many years experience moving specialised pieces for our customers. This includes antique furniture, clocks and pianos. 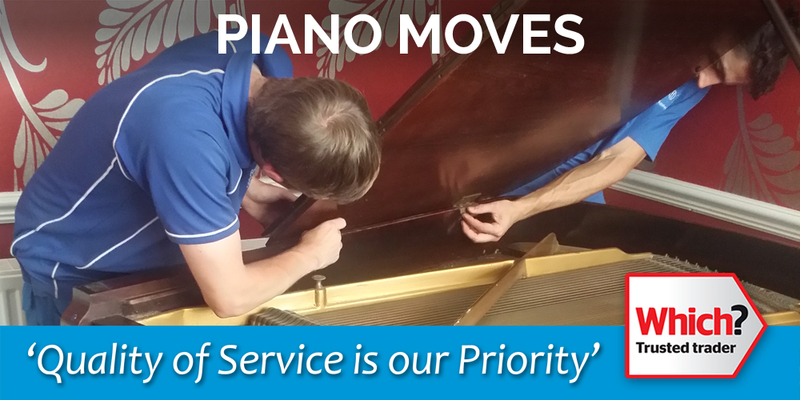 One of our specialities is moving your piano. 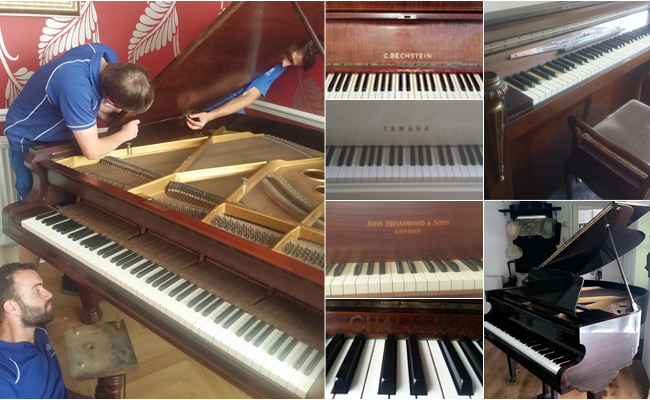 We will carefully pack the piano with our protective covers and safely move it to the new location. You can have full confidence in us to move your pride and joy. "I am writing to say a huge thank you to John Bennett and his team for their superb work last Wednesday 13th September. Your approach was considerate and intelligent and I was impressed by how calm the moving of a grand piano from the first floor of the house turned out to be. Thank you for a first class professional operation from start to finish." 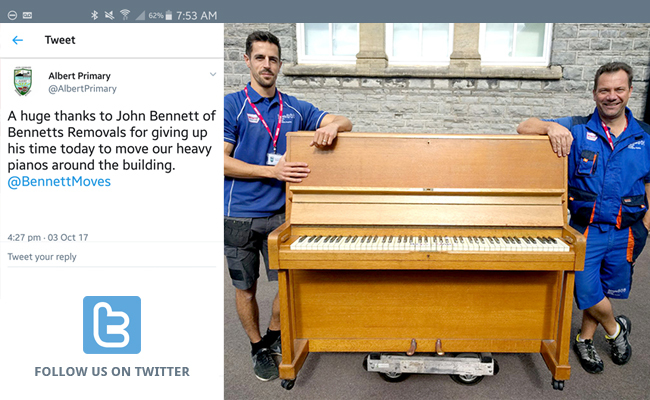 We also got a thank you tweet from Albert Primary School, when we helped them to move their pianos. Watch our 'How we work' video below to see how we take the time and care to protect your home and belongings during a house move. If you're happy to pack your belongings yourself, we can supply high quality packaging materials. From boxes and tape to bubble wrap and packaging paper.